Why does it come up? A quick note to express my gratitude to Roger Pearse, who has exposed the increasingly popular fraud called the “Constantine Creed”. I recommend popping over there and having a look at Roger Pearse’s work. In brief, he found where it comes from, and it most certainly is not from Constantine, as so many people claim. In fact it is from some later time, Pearce says from medieval Greece. The quotation circulating on the Internet has had vital parts snipped from it, which Pearse reconstructs, to demonstrate that it is simply a profession of faith for Jews who converted to Christianity. The mis-quote is normally used in an attempt to imply that Constantine was anti-Semitic, and turned the Christian faith into something anti-Jewish, none of which is true. Constantine could not have cared less whether Christians were eating unleavened bread, for example. What he cared about was people fasting during a celebration. Of course, these days when we say, “anti-Semitic”, we mean a persecution of Jews. That’s not what this creed is. But it is anti-Jewish. That really bothers some people, but it needn’t, if we understand its context and purpose. In a situation where a Christian community is interacting with a Jewish one, and each is proselytising the other, there comes a need for clearly denouncing the one when converting to the other. One can well imagine that the Jewish community had equally scathing denunciations of Christian claims, like the divinity of Jesus, the Resurrection, the absence of Mosaic regulations, and so forth. We can even surmise from this confession that the key elements would have been the doctrine of the Trinity, phrases like “true Christ”, and the incarnation of Christ. Not only is it clear from this creed that the Christians were required to renounce Judaism, but also it seems that some people had “pretended” to be Christian, and had gone back to joining the Jewish community. This is how creeds develop – additional parts are added to accommodate new situations. The wording is always very deliberately designed to counter specific claims and practices. What is not at stake here, is the Jewish history of Christianity. This is an argument between a Christian community and their contemporary Jewish neighbours, some time in middle history. From some of the very earliest times of the Christian Church, the Jewish community was persecuting Christians (Acts 8:1). When Christian groups became strong (particularly when Christianity became the official religion of the Roman Empire), there was persecution in the opposite direction, too. It came in response to Jewish missionaries attempting to convert Christians to Judaism. Theologically, however, Christianity is a joining of Jews with Gentiles, under God. Christians have never had any theological reason to persecute Jews. So then, remember that at one time you Gentiles by birth, called ‘the uncircumcision’ by those who are called ‘the circumcision’—a physical circumcision made in the flesh by human hands— remember that you were at that time without Christ, being aliens from the commonwealth of Israel, and strangers to the covenants of promise, having no hope and without God in the world. But now in Christ Jesus you who once were far off have been brought near by the blood of Christ. For he is our peace; in his flesh he has made both groups into one and has broken down the dividing wall, that is, the hostility between us. He has abolished the law with its commandments and ordinances, so that he might create in himself one new humanity in place of the two, thus making peace, and might reconcile both groups to God in one body through the cross, thus putting to death that hostility through it. So he came and proclaimed peace to you who were far off and peace to those who were near; for through him both of us have access in one Spirit to the Father. I have seen this misinformation in connection with groups who insist that Christians should be observing the Covenant of Moses. They claim that the Christian Church was hijacked by Constantine, who turned it into an anti-Semitic corruption of original Christianity. Of course, that’s just silly. Judaisers were trying to get Christians to be circumcised and observe Moses from the beginning, and Paul’s ministry has this battle as its most prominent theme. The Book of Acts clearly tells the story of Paul and Peter each bringing their reflections on Gentile ministry back to Jerusalem, and the Christian elders there issuing an edict that believers will not be required to submit to the Mosaic Covenant. Paul’s ministry was constantly working at bringing peace between those who were Jewish and those who were not, within the church. His work continues today, when people start trying again to insist that somehow, a Christian is bound to the Mosaic Covenant, and therefore becomes Jewish. Fortunately Paul has left us with ample tools to prove that wrong and to promote peace between Jew and Gentile instead, as God had always intended. Blessed are the peacemakers. Act 15:20 but that we write to them that they abstain from the pollution of idols, from sexual immorality, from what is strangled, and from blood. Ever heard a sermon on acts 15 in church?? I can’t tell if you’re saying that somehow the Acts 15 Jerusalem meeting contradicts what I’m saying, or whether you’re agreeing with me and offering further textual support. The Book of Acts clearly tells the story of Paul and Peter each bringing their reflections on Gentile ministry back to Jerusalem, and the Christian elders there issuing an edict that believers will not be required to submit to the Mosaic Covenant. The meeting in chapter 15 comes as a result of a dispute about circumcision (Acts 15:1-5). Peter stood up and recounted his experience with Cornelius (Acts 15:6-12), which involved a vision about dietary laws (Acts 10:9-15), in which God counselled him not to call “unclean”, or “profane”, that which God has made. That was a revelation about Gentiles, but also about food. God had, after all, said to Noah, “Every moving thing that lives shall be food for you; and just as I gave you the green plants, I give you everything. Only, you shall not eat flesh with its life, that is, its blood.” (Gen 9:3-4), and only the Israelites were given a more restrictive diet. Sexual immorality, eating strangled animals, and eating blood – these are the only matters that the apostles imposed on believers, and they weren’t even precisely from the Mosaic covenant – they more readily refer to Noah’s time. If people wanted to know more about the Sinai covenant, James said, they could go to their local synagogue and learn about it there (Acts 15:21). Kevin, The vision that God gave to Peter was to let him know that the Gentile nation was excepted, because the Jews wold consider them unclean. But as for the dietary laws being changed, that did not happen. Do you believe in a God that is the same yesterday, today and forever? More or less what I am saying is that he doesn’t change. If we say God changed His mind, that is not the God that the Word talks about. An Infinite being can have expressions as an finite being. You may say it was just for the Jews, but I believe that it is for all men. GOD DOES NOT CHANGE. Sorry Infinite cannot have expressions as a finite being. 1. God does not change, but God most certainly changes his mind. Moses, Abraham, and Jonah would be just a few of the most prominent examples of men who changed God’s mind. God himself said that he changed his mind in those cases! 2. The food laws that God set for Noah and all his descendants (that’s us), included everything that crawls, walks, etc. – all animals. That covers bacon, too. Only the Israelites were given a more restrictive diet, as part of the Sinai Covenant. Before that time, “unclean” simply referred to food unsuitable for sacrifices. God gave the Israelites instructions only to eat food which was suitable for sacrifices. God never instructed anybody else to restrict their diet in that way. Your “beliefs” are your own to keep, and I won’t argue that you should change them – I’m just reporting what the Bible says on the matter. The number of Arians was actually very few at Nicea, as the historical records readily show. Jesus would have been known by his name, which probably sounded something like “yeshua”. That’s really not relevant. John the Baptist would have been known as “Yacov”, after all. The letter “j” is not relevant. Do you realise that when the King James Bible was translated to English, many words were spelt differently. “Love” was spelt “loue”, for example. It makes no difference. We all know who we mean when we say, “Jesus”. Constantine did not reject anything Jewish, and did not start anything new. He became a Christian and decriminalised it. He arranged for all the bishops to meet, to resolve a couple of arguments that had been going on about Christology, the dating of Passover, and canon. Theodosius, many decades later, is the one who outlawed all religions other than Christianity, including Judaism. All the Bishops that were invited, were from the Eastern Church, Rome and from other parts of the kingdom, except no Jewish bishop was invited to the meeting. The creed is plain and simple to what he said or had others write. but ultimately the council did not talk about the dating of Passover, (which is called Easter)after a Pagan Goddess. They also deliberated over the Deity of Yeshua. Constantine called the meeting because of all the chaos that was going on in the kingdom due to the belief of Arius and Athanius, and used the time to take care of a few other matters. Constantine if you say was a Christian, but would a Christian do to his family what Constantine did to his after he said he believed in Messiah? But for the records that were from the 2nd century, just because a Governor stated that they prayed to Jesus as praying to a god, does not make him Deity. It is worth repeating here that the “creed” above has nothing whatsoever to do with Constantine. I’m mystified as to why Jewish leaders should be invited to a council of Christian Bishops… Judaism, by that time, had been wiped out with the Temple, and reinvented as a different religion from that of the first century. But the dating of Passover most certainly was discussed. The name “Easter” was not known at that time, and is an old Germanic reference to the month in which Passover fell. Any supposed links to a pagan goddess are just as much propaganda as the claim that the document above has something to do with Constantine. In pretty much all the languages other than English, the Christian celebration is known by a word like “pascha”, derived from Passover. Only in English did another word become more popular. Most Christians in the world do *not* speak English. The name “Easter” is not a departure from Passover. It is the name of a month in an ancient calendar. Don’t be mystified about them not asking Jewish Bishops not Jewish leaders. There were Jewish believers at the time, not unless the so called Christian church eliminated them. Before you start using Hebrew words, I am a Jewish Believer and understand Hebrew words. I use words that you are more familiar with, such as Easter, “Pasach” does mean Passover. 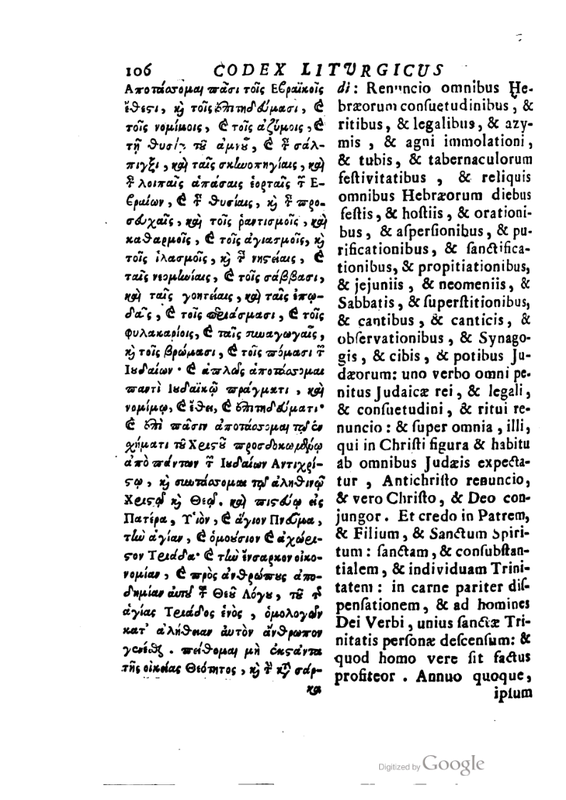 There is a letter translated into English that was written by Constantine called, Letter on the Keeping of Easter (Found in Eusebius, Vita Const., Lib. iii., 18-20.). It is essentially a letter which was sent to those who could not attend the Council of Nicaea asking them to consider coming up with a method of determining when the year began. This was important because Passover, which he calls the “holiest of all feasts” in this letter, is 14 days into the New Year. The Greek word Pascha, which is a transliteration of the Hebrew Pesach, what we call Passover, is the word which appears in his letter but is translated into English as Easter. Simply put, it is a Letter on the Keeping of Passover. And we know unleavened bread is used frequently during Passover, which would clearly contradict this creed all the more. If you do study your Bible, one of Salomon’s sin’s was worshiping the Goddess Ashtoreth, (Ishtar, Easter) so the term is well known through out history but used in different terms. The original “Brit Hadasha” was written in Aramaic, and not in the Greek that most scholars use today. Meanings in Greek are not the same in Aramaic. Aramaic was the street language of the Jewish people, just as Spanish (in Spain) was the street language, they would not speak Hebrew but only in the Temple, Hebrew is the Holy Language. The Jewish language today is nothing as the old biblical language of the Hebrews. If Constantine did not anything to do with this, why is it attributed to him? To You a Jew would except a man as God, but as a Jew to serve a man is Paganism. God cannot become man. Of course “the creed” above has nothing to do with Constantine. Any inconsistency between it and Constantine’s willingness to observe Passover should help to make that plain. It is not “Constantine’s Creed”. As you say, Constantine and all Christians celebrate the death and Resurrection at Passover. As the tradition has been translated into other languages, either transliteration has produced words like “pascha”, just as you say, or in the case of English (which didn’t even exist for a thousand years after Constantine), the Old High German name of the month Oestre was used, because that was the month when Passover occurred. The vague coincidental phonetic similarity between “Easter” and “Ashtoreth” is as far as the link goes. The two are completely unrelated. The month of Oestre has no link to the ancient deity Ashtoreth (except on anti-Christian propaganda websites, of course). Oestre (the month), is named after a deity which could even have originated in a work of fiction for all we know, but even if she was a deity once worshipped, that would mean “Easter” is about as pagan as “Thursday”, which is named after the god “Thor”. No person is allowed to add or take away ANYTHING from King YHVH’s words and instructions lest ALL the plagues of the Book befall him/her. What utter wickedness to play down the blatant blasphemy, rebellion and iniquity of the sworn worshipper of the “venerable Sun” – Constantine. Until his death EVERY coin minted under Constantine’s reign was minted with the latin inscription stating that all honour goes to the…. SUN. He was a sworn and devoted Sun / Baal worshipper all his life. Leviticus and Deuteronomy states explicitly that there is just ONE law for all – the Israelite and the stranger. Plus that this law and all Sabbath are instituted for all eternity. Yeshua did not keep all the laws neither could he ever because he was neither a woman nor a Levite priest hence He could NEVER keep those. The argument that he came to fulfill all of the laws and hence abolish is also rubbish. He even declared ouright that He fid NOT come to abolish. The biggest personal sacrifice an individual Israelite can bring is the sacrifice to end a Nazarene vow. Read Leviticus and see that at least three animals are sacrificed plus a list of other goods that are prescribed. In Acts when Rav Shaul ended his Nazarene vow he used the opportunity to make VERY VERY sure that everybody could witness publicly that he unconditionally submitted himself to every aspect of the law – by bringing the prescribed sacrifice publicly in the temple not only for himself BUT ALSO FOR FOUR OTHERS. When YHVH instituted the Sabbath He immediately demonstrated His own obedience to His own laws. He NEVER violates ANY of His laws. Ueshua states repeatedly that if you love Him then follow….. His commandments. Scripture states that NOBODY has seen YHVH and lived. Then who did Adam and Eve saw each day in the Garden? Who visited Avraham? Who was with Daniel in the fire? And who then gave, instructed and trained Moses and the 70 elders on the mountain in the laws? That was Yeshua hence Him saying “If you love me then keep MY commandments”. Yes He was perfectly entitled to make that claim since they were His Commandments all along. He is so serious about His commandments and obedience to it that He caused severe punishment on Israel and they went into dispersion several times. Why would He then suddenly change His mind – He the ONE IN WHOM THERE IS NOT EVEN A SHADOW OF CHANGE – to suddenly come and abolish that which He repeatedly ststed as being valid for …..EVER??????? In Exodus He states ecplicitly that THE SABBATH BELONGS TO HIM. He also states that the Sabbath is the SIGN OF HIS COVENANT. There is not a single scripture even hinting at Yeshua or any of His talmidim either breaking the laws of the Sabbath, or teaching others to do so nor is there ANY scripture where YHVH revoked ANY of His Sabbaths or to give any other sign for His covenant with us. By the Sabbath that you keep you clearly proclaim the sign of the God whom you serve be it the sign of the God of Abraham Isaac and Jacob or be it the sign of Baal the Sun God. Of course, the point is that this “Constantinian Creed” actually has nothing to do with Constantine. I think it’s important to hold that in perspective. The first Christian apostles were teaching Christian converts to become like Abraham was when he was found righteous by God – there was no circumcision, no dietary restriction, no Sabbath, and no mandatory sacrifices at that time (Genesis 15). Jews have often mistaken this for Christians “abolishing” things, but that is not what’s happening. You are right,the Sabbath is for the people of Israel and for no other nation, because they are His people. The sign that He placed between Israel and Himself. The Constantine Creed as you say “Has nothing to do with Constantine”, though he did not write it, he accepted as a creed of the new religion of christianity that was created and accepted. If the first christians were teaching converts to be like Abraham why were they called Abrahamites or children of Abraham. Maybe there was the Circumcision at the time, if you read the Torah you will see hints of it. But if you never study Torah you will think that it is not there. If there was no Dietary restrictions, why did G-d tell Noah about the clean and unclean animals. If you study Torah closely you will see that Abraham, Issac and Jacob honored Shabbat. If there were no mandatory sacrifices at the time, how did Adam, Cain, Abel, Noah, Abraham, Issac and Jacob know how to sacrifice and how to prepare it. The problem with christianity is they will never study Torah, and come up with their own conclusions about things. Do you even understand why they call G-d, “The G-d of Abraham, Issac and Jacob”? Until you can understand that you cannot understand anything else. Abraham believed in the One True G-d and not in a trinity or any other thing for that matter, that is one reason he is called righteous. Thanks for taking the time to engage with this subject, Paul. The “Constantinian Creed” was not invented until hundreds of years after Constantine died. He did not “accept it”. In fact, under Constantine there were no religious restrictions on non-Christians at all, including Jews. I can only repeat the story as Moses told it: When Abraham was found righteous he was uncircumcised, had never been told to restrict his diet, and had never heard of a “Sabbath”. You may think differently, but I’m repeating what Moses wrote. If you can point to a single “hint” that he observed Sabbath I would be surprised, because he had absolutely no reason to. You ask about the sacrifices: Cain, Abel and Noah were all vegetarians. They had not even dreamed of eating the animals they were sacrificing until after the flood in Genesis 9 when God gave them “everything that creeps on the ground” as well as birds, fish, animals, etc. This means that “clean and unclean” has nothing to do with food. It is about designating what is acceptable for sacrifice. The Arabic words “Halal” and “Haram” are equivalent. Please indicate, in the Bible, where God demanded or required that people make sacrifices before the Sinai Covenant. I can’t find it. That would help me a lot. Doesn’t it make one pause to think that at Sinai, God was referring to himself as “the God of Abraham, Isaac and Jacob”… none of whom had dietary restrictions, mandatory sacrifices, temple, or Sabbath…? I assure you I have studied Torah. I have a theology degree. I keep pointing out what the Bible actually says, and I am told that I should instead look for “hints” which contradict the plain text! That is good that you went to school and have a theology degree. I was a ordained minister, and now am a licensed Rabbi. But that is all knowledge. The scripture you refer to as being counted as righteousness, is written “and he believed God, and it was counted to him as righteousness”. It was not his belief in God, rather his belief in what God told him that made him righteous. And God told him about a promise – land, in particular. That promise was later understood beyond physical territory, to refer to “peace”, or more completely, “shalom”. The way Moses tells the story, nobody who received the law at Mt Sinai entered God’s shalom except Joshua and Caleb. Even Moses did not enter into it. Why? Because at the brink of the promise they failed to believe what God had told them. It made no difference if they observed Sabbath or not. Abraham is the patriarch and our example. He was an uncircumcised Chaldean who had never heard of Sabbath when God declared him righteous. Why does Moses tell us this? Because righteousness does not come from the law. I understand what you are saying but, G-d told him about the land after he counted what G-d had said for righteousness. If you please do not try to place about the land before the counting of righteousness, because you are playing with scripture. If you are going to take things as a literal sense try not to read more into it. If you say you study Torah often, you would not make that mistake, and also Torah does not give righteousness. Psalms 119:172 “My tongue shall speak of Your word, For all Your commandments are righteousness.” (KJV). You have to understand as well as every Jewish person does, Torah does not mean Law, it means Teachings or Instructions. They understand they don’t receive righteousness by following a law, but follow G-ds instructions for a good and healthy life. As Rav Shaul stated “obedience is better than Sacrifice.” The Jewish people never needed a sacrifice to forgive sin. They just needed to repent and follow G-ds word. God had promised the land, through a son, back in chapter 12. That was what Abraham was “believing”, despite being old and having a barren wife. I’m not sure how that can be described as “playing with scripture”. Its all very straightforward from chapter 12 through 15 of Genesis. I understand the principle of “instructions” as opposed to the Sinai laws completely. That’s the point. The instructions given to Abraham were sufficient. I’m sorry, but the problem is that you don’t think like a Jew.You still have a Greek mentality. All of scripture was written by Jews for Jews. Our mind set is different from any other on earth. G-d does want Gentles to live according to the Noadic laws, but not Israel, they are His and His alone. The Noadic laws state, to believe in one G-d not a triune one but one. Thanks for your thoughts. I’m able to read what the book actually says, so I’ve got plenty to go on. Does thinking “like a Jew” mean changing what Moses so carefully recorded? I’m repeating Moses’ teachings. Why contradict him? It is all written plainly enough for both Jews and non-Jews to read. Everyone is entitled to draw their own conclusions about what it says, but it does still say what it says, and that’s not negotiable. At least we agree on the main things – the Gentiles are only required to abide by the Noahic covenant, as was Abraham. That’s what the New Testament says too. That’s also what I’ve been saying, and yet I’m being told I’m wrong? God obviously requires no more than the Noahic obligations. Abraham is proof of that. That’s why the Jerusalem council also agreed to burden the believers no more than that in Acts 15… because Moses taught this! Do you read or write biblical Hebrew? Hebrew has more meaning than what English will ever be able to make its interpretation clearly. But they argued because they believed they should become Jews, but what most people don’t understand is what Jesus’s last word’s were to his disciples, he told them to go to the Jewish nation, and I don’t serve a G-d that changes,so if you believe G-d changes and said the Gentiles came into covenant with Him is questionable remember the Gentiles are grafted into the vine of the Hebrew and not the other way around. Paul spoke many things, and most Christians quote him as he was the Messiah. But understanding like a Jew you will never understand. Thank you! This is the kind of strange response I get when I talk about what the Bible plainly says. I’m told to ignore it and instead look at “hints”. I’m told I lack a “Jewish mind”, which would allow me to understand the text to mean something other than what it says. I’m told that reading it in Hebrew makes the meaning completely different. Unfortunately all of those arguments are untenable. I am happy to go word-by-word through the Hebrew in any verse where you suggest the Hebrew says something different to the English sufficiently to change the meaning of a passage. For example, is there a Hebrew phrase which makes Genesis chapter 15 come before chapter 12? Or Mt Sinai before Abraham? I agree that Gentiles are grafted into the vine, but that vine is not from Moses. It is from Abraham, and Christ is the seed to whom the promises of that vine belong. Every essential matter of faith predates Mt Sinai, predates Moses, and even predates circumcision. No wonder a “Jewish mind” finds it scandalous. The “Jewish mind” apparently does not believe Moses. To believe Moses is to understand the New Testament. Have a great day,and may God so richly bless you in what you deserve. I have not asked you to argue, so please don’t feel compelled to do so. In fact I have not asked for a conversation at all. This is my blog site where I post my thoughts and I have generously hosted your comments also, and even responded to them out of a sense of service to you. I am not interested in converting to Judaism, and I have no desire to convert you from it. I am only interested in truth. It is folly to discuss “messianic prophecy” in the text if you are not prepared to actually read the text and accept what it says. Whatever you think of messianic prophecy will, like your views expressed so far, be informed by sources outside the text, “hints” of things you bring to the text yourself, and a “Jewish mind”, which apparently comprehends language in some alternative way as to change the meaning. I don’t want to upset your faith, which seems to be a strong set of convictions. It just obviously contradicts the writings of Moses and of the New Testament writers, so I’m not equipped to engage with it. I will just restrict my comments to what the text says. If you’d like to discuss what the text actually does say, we will have some common ground for a conversation. Otherwise I wish you well in your faith journey wherever it leads. Thank you for your interest in the subject, Esther. “He has revealed his word to Jacob, his laws and decrees to Israel. He has done this for no other nation; they do not know his laws. Praise the Lord.” – Ps 147:19-20. Sabbath, and the whole Sinai Covenant, was exclusive to the Israelites who emerged from Egypt. It never affected any of the patriarchs and they had not even heard of some of it’s most distinctive elements – Sabbath, Temple, etc. But this is a post about Constantine. He became a Christian, as it is well documented. He wan’t well educated in theology, but he did convert, and he set about to decriminalise Christianity and commend it to his subjects. He did not, however, ban or attack Judaism. These are historical facts. People have tried, with fradulent documents like the one I cite above, to claim Constantine was something else, but any sensible assessment of the data shows that those claims are specious. The larger point is that in the end Constantine tried to convert Jews to wicked Christianity and faith in a false Trinity. Knowing that Christians exsisted long before “Jesus” and were pagan in origin flies right past most academically dishonest Edomites. Constantine, and Edomite and descendant of Esau and Idemea saught to change the legacy of the true Hebrew. Iconoclasm being an hidden weapon against the original Jew by the Greeks, He took to new heights with the establishment and legitimization of the RCC, the seat of HaSatan and Sun worship disguised Sunday Convocation. The True people of The Most High YHWH (Yod, Hei, Waw, Hei) know what the Edomite nations have been doing for the last Three thousand years. We simply had no way to do anything about it, until NOW! The last captivity of Yisrael is coming to a close and Matah Yahawadah will be returend to the holy land by Ha Masiach. So Constantine creed or no creed the prophesy will be fulfilled. Ask yourself, is trying to steal your birth rite back from Yacob really going to stop what The Most High has said will come to pass? When The Most High lifted up Pharoah so that no man could destroy him, he did it so that his Shem (fame/name) would go throughout the world. I believe you don’t see he is doing it again! Who will he destroy above all mankind to ensure his Shem is be proclaimed throughout all the world? Edom be careful. This could be your final warning. I thank you for making a contribution to the conversation. I admit that it is virtually unintelligible, but the parts I can understand I can comment on. It bears mentioning (again) that Constantine merely decriminalised Christianity. He did nothing to Jews, nor Judaism. So that really can’t be “the larger point”, I’m afraid. I suggest that the larger point is that this document has been deceptively modified to make it appear to be something it is not, and has been falsely ascribed to Constantine. There can be no such thing as a “Christian before Jesus”. Christians take their title from “Christ”, specifically Jesus, the Christ. Many Christians were of pagan origin, of course, and that’s an important feature of Christianity – that God is not the God only of the Jews, but of the whole world. Whether someone was a pagan or a Jew before they were a Christian does not affect their status as a Christian. If we are to take monotheism seriously, then the one God must god of all, not just the god of the Jews. It may be helpful to note that Sunday convocation is a celebration of the Ressurection, an historical event locatable on the calendar as happening on the morning of the day after the weekly Sabbath. It has nothing to do with any sun god, except that it happens to fall on the same weekday, but then, *every* weekday was associated with some Greco-Roman god or other. As for Esau’s birthright, it has nothing to do with me. I am not descended from Esau, nor from Abraham as far as I can tell. I simply share Abraham’s faith – the faith which God affirmed as righteousness while Abram was yet an uncircumcised pagan from Ur of the Chaldeans. That is my connection to the story of Israel, just as it is for any non-Jewish Christian. It has nothing to do with Esau. Your concern for YHWH’s Shem being proclaimed throughout the world is ironic. This is something Christianity has done and Judaism has not. Christianity has spread the Israel story and its associated monotheism across the globe, including the Shema itself. Indeed it was Christian powers which recreated the modern state of Israel, post WWII. I’m not sure who the “Edomite nations” are supposed to be so I can’t comment on that. I am unaware of any nation on earth being defined according to its genealogy any more, including Israel, in fact, let alone Esau. So I don’t know who is being “warned” here. Thanks again for taking part in the conversation. If you would care to abstain from trying to “be right” at all cost and if you truly are looking for “the truth” of the matter. I had to do my research on Constantine and discovered that he was NOT a convert to christianity at all, more of that later. He even had his wife and his son killed after his so-called conversion to christianity. Constantine’s faithfulness to Christoan values is not at issue. Claiming to be Christian does not make someone morally good. Hitler claimed to be a Christian. This article is about a document which gets ascribed to Constantine flasely, in an attempt to depict Constantine as anti-Jewish. The document has nothing to do with Constantine, and he never persecuted Jews. He legalised Christianity and did not interfere with Jewish worship in any way. 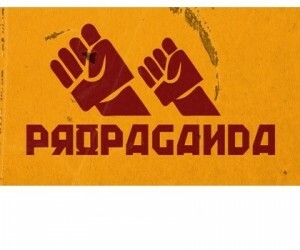 Your style follows that of secular news sources using sensational / hysteria statements to try and win followers. No it is not “A Fraud” like your article title reads. It is a real but abbreviated quotation that has been largely misattributed. 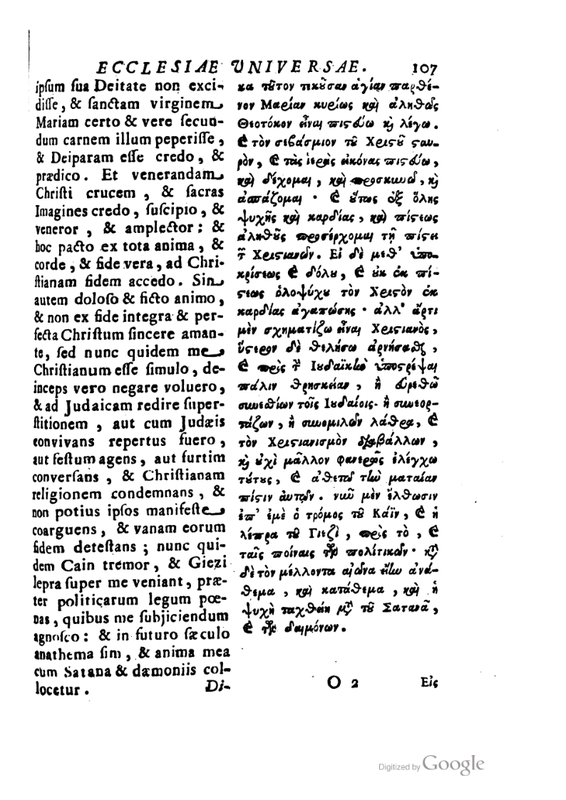 and on p.397 it has an even more complete translation of the oath that Jews had to take to convert to CATHOLICISM – not to real biblical ‘Christianity’. Thus most of the web quotes that I saw, actually referred to even more accurate information than your corrected quote at the top of the page. The Oath was about corrupting Jews – true believers in YAHWEH (albeit with added traditions) into CATHOLICS. By blurring the lines between CATHOLICISM and ‘CHRISTIANITY’ you are blurring your own vision of truth. I pray for revelation and insight for you. This so-called creed has been represented as a document of Contantine. It is, in that context, a fraud. It is, as you acknowledge, a misquote of a document that has nothing to do with Constantine, just as I documented. As to your distinction between “Catholicism” and “Christianity”, whatever you mean by those terms, it is anachronistic at best, and pure fiction at worst. 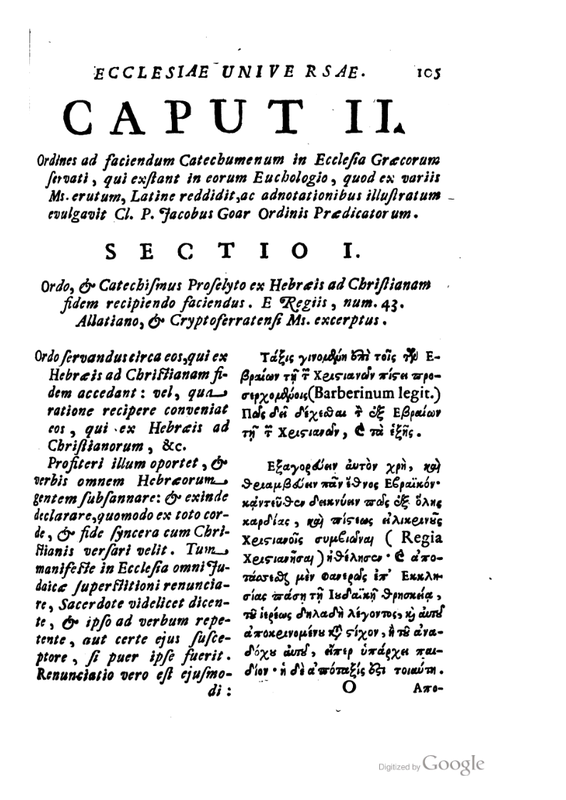 At the time this creed was written there were one or more Christian church traditions (Eastern and Greek, for example), each potentially calling themselves “catholic” in the sense of being universal. In any case, whatever you think you mean by your use of those terms doesn’t have any bearing on this creed, where it came from, and what it achieved. You are entitled to your own view about who is and who isn’t a “true believer”, but this article deals with historical and evidentiary facts, as best they can be known. It has nothing to say about Judaism being better or worse than any other faith. Any hysteria you find here has been brought by the reader. Try reading it again. May God bless your evident passion for all that is His.